I talk about friendship quite regularly on this blog (you can see a couple of my other posts HERE and HERE) and I think that's because it is one of the most valuable commodities we have in life - and because there is the freedom to choose what to do with the extra time I have, I choose to invest it in those people who are special to me and hold a place in my heart. When my kids were younger I seemed to have a lot of casual friends - the other mothers from school, the mothers of my children's friends, the people I worked with, the people I socialized with....and so on and so forth. A lot of those friendships were pleasant but they were for a specific time and as our stages of life changed, those casual friends drifted off, or moved house, or moved on to something or someone else. You don't mourn those friendships ending - they served a purpose (that's being a bit brutal really but it's the nitty gritty of the nature of casual friendships). New friends come to replace older friends, new interests, new jobs and the circle of friends ebbs and flows with those changes. It's just a part of life and one I accept quite happily. What allows me to let those short term friendships run their course without being particularly bothered either way, are the deep and abiding friendships that weather all life's sunshine and storms. I look back over the fifty plus of my life and I seem to have friendships that started in every decade of them, and those friends are still a part of my life now. I have a friend who I've known since the womb - her mum and mine were school friends who stayed in touch. Kerry and I were born within a few months of each other and we have been firm and fast friends throughout our lives. We tend to lose touch for months at a time, then see a family event on facebook and reconnect to share each other's joy or sorrow - Kerry and her mum were even at my dad's funeral a few weeks ago - a true friend. I have another friend who I've known from my first year in Primary school when we were both five. We went to school, to youth group, went to each other's weddings (she was my bridesmaid), and have followed similar ups and downs in our marriages. When we catch up, it is like no time has passed at all and we are back to the good old days. Along with this friend, I have several more from High School and Youth Group who I've known since my teenage days. Most of our interaction is on facebook, but there are some who I see regularly and it's hard to believe that we have nearly forty years of shared history - that's a lot of water under the bridge and a lot of laughs (and a few tears) that we've shared over all those decades. Finally there are the friends I've made as an adult. Along with the more transient ones, there are a few who have stuck around and who truly share my heart. I have a sister-in-law who is the sister I never had, I have another friend who has weathered more storms than she deserves, but who can still smile and boost my spirits with gales or laughter when we get together. I have a friend who moved away to the city but who still manages to fit me in for a coffee date when she returns to her old stomping grounds. These women who know me inside and out are the friends of my heart. They know a lot of my secrets, they know my flaws and they remind me of my strengths. They play a huge part in keeping me sane and helping me smile my way through this crazy world we live in. Midlife friendships are such a blessing, they enrich our lives and allow us to share our good times and bad times with people we know will always have our back. I have given more thought to friendships these years than ever before. I have less patience with less than supportive pals. I give more value to those who are. It seems to be a time of life where we start focusing on what's important and discarding the dross Carol - unsupportive friends qualify as dross. You are so right on all counts. Especially the friends who we knew when our kids were in school. They seem to be the ones who fade into the distance as time goes on Tam. Great post! As for friendship, I have a few close friends, but because I am a sensitive person I try to keep a low profile and a positive vibe. I am a very active person and use to play lots of sports growing up. That being said to much drama in women sports like tennis so I stick to blogging now. Thanks Maria - I think we choose our friends and how much we invest in our friendships based on what feels right in our hearts. Some people can manage a zoo of friends - I'm not one of them, quality over quantity! Hi Marie - thanks so much for stopping by - and yes I took a while to adjust to the idea that you can let certain friendships fade away and move on with your life. Some friends are forever, a lot are just for moments of time. How coincidental -- I wrote today about my long-term friends! They truly are a special gift. Yes I just read your reunion post Helene - it's lovely having those friendships that go back so far, and it's also great to have others who are part of our more current lives. I attended a funeral just this past weekend and one of the quotes printed on all the memorials throughout the service was, "Friendship isn't a big thing, it's a million little things." I loved that, because he was a great friend to so many people and I thought that was very touching and true. Yes, there are those friends that, no matter how much time has passed since you last spoke, you pick right up where you left off. Those are special, though I guess all friendships are special in their own way. Thank you for sharing this. Those really old friendships are gems that we truly need to value Pam. It's amazing to know someone who has been with you through decades of life and who knows you well enough to pick up where you left off each time. I definitely cherish friendships more and more the older I get. I cherish those that have faded away and those that are budding anew and those with whom we've stuck together for much of our mutual life rides. Love my girls... and the one or two guys that qualify as my true-blue buds. Heartwarming post. Thanks Lisa - what would we do without those friends? 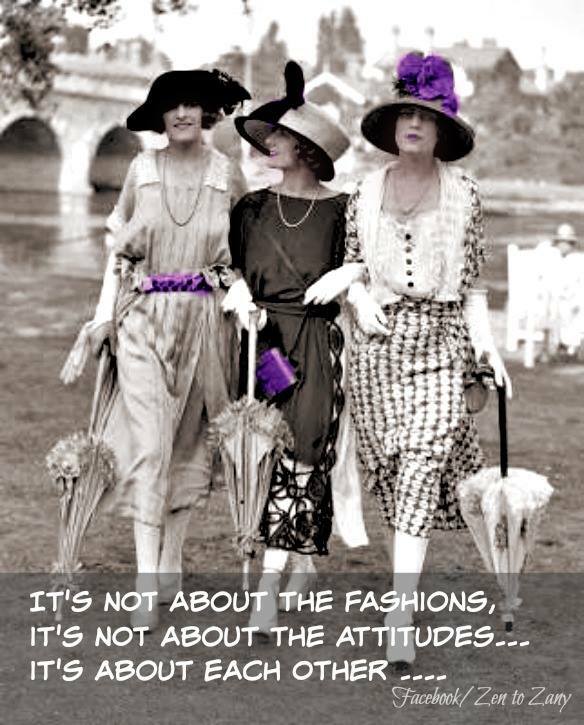 Sometimes I've taken the fact that I have close friends for granted, but as midlife continues, they are something I truly treasure. Friends and family are so important. We (I) tend to get busy and neglect both and that makes me sad. What a perfect post. Glad I found you on the #fabulousfifty groups! New fan. I have friends that I met in school and we still do things together. Not all the time since we don't live in the same state, but it's fun to know there are friends you can just get together with and it just picks up from the last time. Exactly Jennifer - how cool is it that we still "get" each other 40 years after first meeting? I just love those connections! I wish I could say I have a lot of long term friends but we've just moved too many times. I have a few and they're awesome. Beautiful post. Thank you for sharing and being part of the link up this week! I've enjoyed making my way through the list! Leanne great post. I have pretty much been very busy since the kids came and have also had those transient friends in and out of my life. I do have a few childhood friends that I still keep in touch with after 50 years. And then there are my blogging friends who are really important to me because they get me! You get me! No one out side our community can understand our brand of zany! Thanks Mary - I couldn't agree more about blogging friendships - the connections across the world are amazing and I love it so much. Who'd have thought there was a whole world out there that we were missing out on?? You're so blessed to have carried so many friendships! 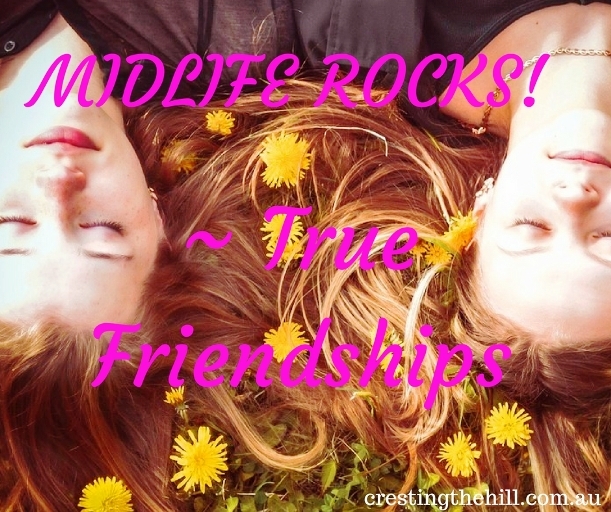 For me my friendships began when I started blogging. I felt a connection with so many other women that had the same interests that I have.I'm thankful for each friend that I've made and that list continues to grow. 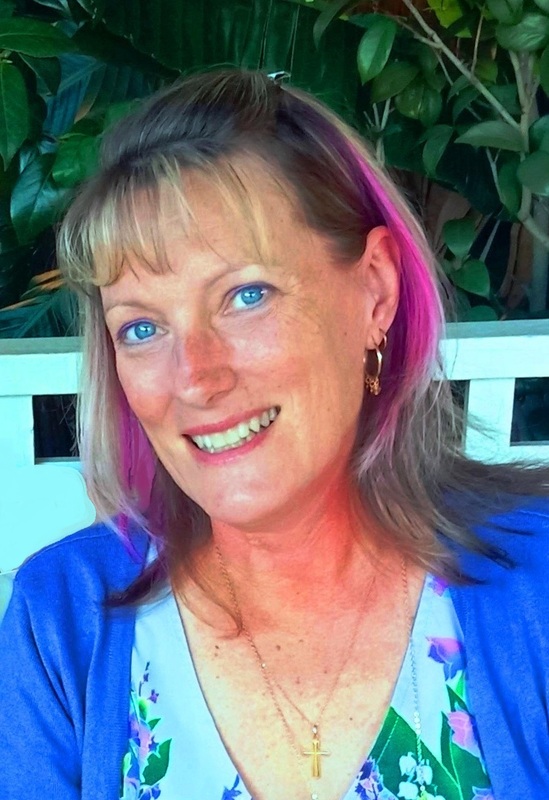 I've made many, many new friends since I started this blogging journey Anne - I love the connections and how like minded we all are. It has made a huge difference in my life and made me so grateful for this age and stage. Hi Leanne! I can relate so well to your post! Who was it who said you are truly blessed if you can count 1-2 true friends in your life? I guess those are the ones who are true blue. I'm blessed to have 2 of those. One is local & one lives further away. Thank goodness for email b/c I'm one of those who doesn't like to talk on the phone. Otherwise, I'm a quiet, keeps-to-herself kind of person. Thoughtful post that I enjoyed reading. Lovely post! It's so true how some friendships are shortlived and just come to a sort of natural end, whereas others live on forever. Thanks Jessica - I'm just so grateful for those friendships that have weathered the years and come out deeper and wider than I could ever have expected. 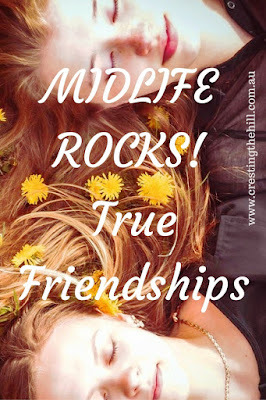 MIDLIFE ROCKS! ~ Who Cares What They Think?